Below are picks chosen by PRX editorial staff. You can see all potential pieces for 9/11 by using our search. To mark the 10th Anniversary of 9/11, Radio Rookies, WNYC’s Peabody Award-winning youth journalism program, presents “Our 9/11: Growing Up in The Aftermath”, an hour special hosted by NPR’s Brooke Gladstone. Last spring, Radio Rookies put out a call for young people to tell us about their 9/11. In this hour, six young people report on the ways that day and what came after shaped who they are now. Some faced deep personal losses and others felt changed because they were so young when the towers fell. Eric’s older brother Paul worked in Tower 1 and never made it home. Jillian lost her father, a New York City police officer. Norhan suddenly found herself the target of other kids’ animosity and fear because she is Muslim. Brendan and Joey weren’t personally affected by the attacks, but they felt called to service. Erin, whose father was a New York City firefighter, spent the months after 9/11 attending funerals and watching her father struggle to recover from injuries both physical and psychological. Updated for 2011: To commemorate the tenth Anniversary of 9/11 we bring you the Peabody Award-winning Sonic Memorial Project, narrated by New York writer Paul Auster. The Sonic Memorial Project is an intimate and historic documentary commemorating the life and history of The World Trade Center and its surrounding neighborhood, through audio artifacts, rare recordings, voicemail messages and interviews. To commemorate the tenth Anniversary of 9/11 we bring you the Peabody Award-winning Sonic Memorial Project, narrated by New York writer Paul Auster. The Sonic Memorial Project is an intimate and historic documentary commemorating the life and history of The World Trade Center and its surrounding neighborhood, through audio artifacts, rare recordings, voicemail messages and interviews. Ten years ago, in the months following 9/11, a collaboration of producers, listeners and public radio stations across the nation came together to create a Sonic Memorial to the people and history of the World Trade Center. We opened up a phone line at NPR and asked people to share their stories. We put out the call for audio artifacts that captured the sounds and voices of the World Trade Center neighborhood. Some thousand people called in creating a remarkable archive of personal recordings and remembrances. From this material and hundreds of hours of interviews and archival recordings gathered by producers around the country The Sonic Memorial Project was crafted. Artists, bankers, office staff, elevator and maintenance workers—each tower had a thousand sounds; every floor had a thousand stories. The Sonic Memorial Project gathers some of these in a reflection and richly textured document of this moment in our history. We hear from the architect and engineer of the Towers, the piano player from Windows on the World, aerialist Philippe Petit who walked on a high-wire between the buildings 105 floors up. We hear from artists who had studios in the World Trade Center, creators of music and soundscapes based on recordings from the Towers. We hear the stories and remembrances of some of the many who died. The Sonic Memorial Project also features stories that focus on little known aspects of the life and history of the World Trade Center and surrounding neighborhood, including Radio Row: The Neighborhood Before The WTC, the district of electronic shops displaced by the building of the WTC. The Building Stewardesses: Construction Guides at The WTC and Other Little Known Tales of The Creation of The Towers 1968-1971: stories of the politics and public opinion surrounding the Towers are told by the man who masterminded the construction of the buildings and by the young college co-ed construction guides he hired to educate the public and put a friendly face on the project. 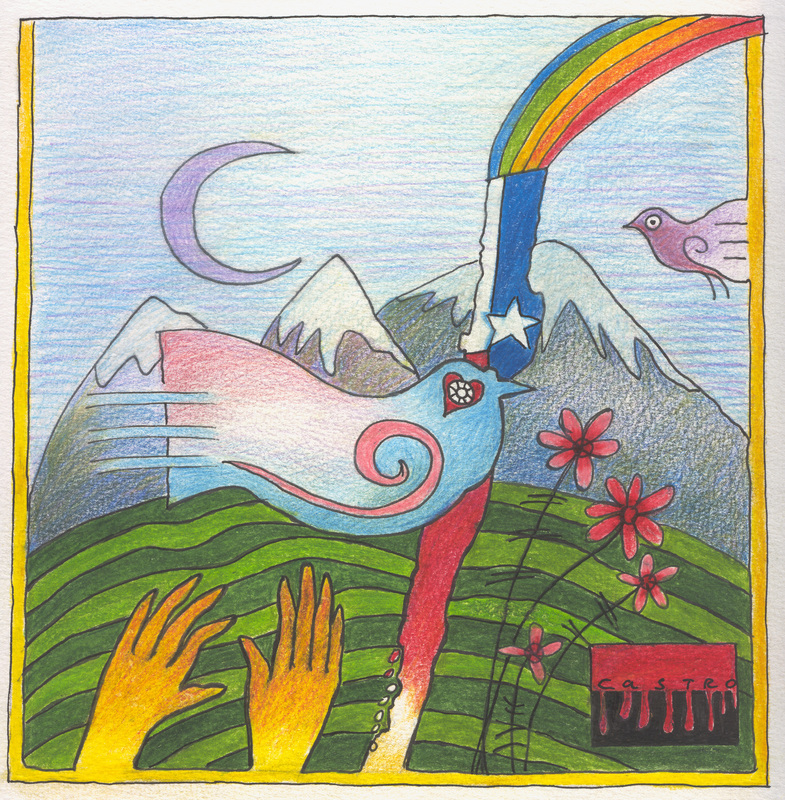 The Sonic Memorial Project was produced by The Kitchen Sisters (Davia Nelson & Nikki Silva) in collaboration with NPR, independent radio producers, writers, archivists, historians and public radio listeners throughout the country. This documentary is based on a series of interviews conducted by David Tarnow in the early fall of 2001 with members of New York's maritime community recounting the events of the morning of September 11th and their role in the subsequent evacuation of Lower Manhattan. Since the authorities closed off all the bridges, tunnels and subways, the water became the only way out. "All Available Boats: Harbor Voices from 9/11" is based on a series of interviews conducted by David Tarnow in the early fall of 2001 with members of New York's maritime community recounting the events of the morning of September 11th and their role in the subsequent evacuation of Lower Manhattan. Since the authorities closed off all the bridges, tunnels and subways, the water became the only way out. So the Coast Guard put out the call for all available boats to bring in rescue crews and supplies and evacuate hundreds of thousands of wounded and severely shaken office workers. What emerges is the story of a collective effort of selfless dedication on the part of these previously invisible waterfront hands. A first-person oral history of the September 11th attack on the Pentagon. One hundred eighty-four people died at the Pentagon, but because the Pentagon attack was dwarfed by the tragedy at the World Trade Center, much of America has yet to hear the stories of the valiance and tenaciousness of the Pentagon employees. Consider telling your listeners about We Were On Duty being available on iTunes. A first-person oral history of the September 11th attack on the Pentagon. One Hundred Eighty Four people died at the Pentagon while hundreds more crawled through choking smoke and over burning wreckage to safety. But because the Pentagon attack was dwarfed by the tragedy at the World Trade Center, America has yet to hear the stories of the valiance and tenaciousness of the Pentagon employees; about the horrendous physical and psychic toll the attack has taken on them and their families -- and about how they have overcome and are moving on. This hour-long program tells these stories in the voices of the people who lived them. Without narration. Many of these survivor stories are devastating. Many are inspirational. And as America looks to move forward from the trauma of 9-11, they offer important lessons. ------------------------ Voted Best Radio Documentary by The Society of Professional Journalists. Recipient of 2002 Sigma Delta Chi Award for Excellence in Journalism. "109 on 9-11" tells the tale of 109 Washington Street, a tenement building located two-and-a-half blocks south of the World Trade Center. 109 On 9-11 SYNOPSIS "109 on 9-11" tells the tale of 109 Washington Street, a tenement building located two-and-a-half blocks south of the World Trade Center. Nine residents relate their stories from the mundane (finding a decent laundromat in the Wall Street area) to the extreme (finding a hiding place as the South Tower collapses). Hear Eddie Metropolis, apartment # 13, lifetime resident, talk about the morphing of Lower Manhattan from Little Moravia (a working class immigrant neighborhood) to a ghost town in the shadow of the financial district. To quote Eddie: "I’ve seen the Trade Center being built, now I’ve seen it all destroyed." The other tenants narrate equally descriptive tales: - Jim Pedersen, apartment 9: the horror of a front door that won’t open as the South Tower collapses. - Roxanne Yamashiro, apartment 10: what it felt like being trapped on the subway underneath the twin towers. - Nancy Keegan, apartment 1: walking seven miles with a dog and cat—just to get to a place to sleep for the night. - Lesley McBurney, apartment 7: on the guilt of leaving behind two cats. - Erwin Silverstein, apartment 6, witnesses fallen bodies…and then goes to work. - Flavio Rizzo and Veruska Cantelli, apartment 15, play back for us frantic answering machine messages from Italy and elsewhere. 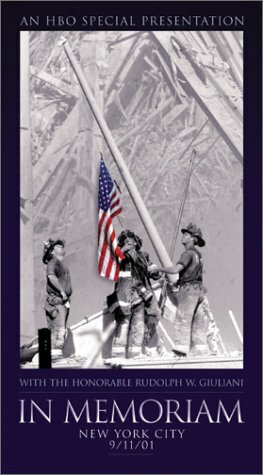 "109 on 9-11", first and foremost, demonstrates how the September 11th tragedy helped transform a building. Conducted in the months following the disaster, these interviews capture the fear and trauma that forced these once-anonymous apartment dwellers to turn to one another for help and solace. Today, 109 Washington Street has become a closely-knit group of concerned friends and neighbors. The program closes one year later, on September 11, 2002, with a rooftop chamber concert, led by professional cellist, Jim Pederson (apartment 9). This story was distributed in August/September of 2003 by PRI, and was aired on approximately 30 stations nationwide. Voices from Afghanistan is an hour long special marking a decade of US troop engagement in Afghanistan. The program offers snapshots of life in Afghanistan today and looks forward to possibilities to come. This program is hosted by Anand Gopal, an investigative journalist and author who covers Afghanistan, Egypt, and other international hotspots. Anand was based in Afghanistan for more than 3 years writing for the Wall Street Journal, Christian Science Monitor, and Foreign Policy Magazine. We hear Afghan perspectives on the impending US troop drawdown. Journalist Matthieu Aikins shares his outlook on security and the economy in Afghanistan. Reporter Tabasum Wolayat shares what it’s like to be an Afghan woman in Kabul and initiatives by Afghan women’s youth organizations to protest harassment on the streets. We meet Shabana Basij-Rasikh, an Afghan woman building the first girl’s high school in her father’s province of Laghman. Journalist Pratap Chatterjee host a debate aobut whether the US military should be doing development work, with guests Marlin Hardinger, a US Foreign Service Officer, and Paul O’Brien, Oxfam America’s Vice President for Policy and Advocacy. Reporter Elva Narcia explains an effort to give Community Development Councils tools to track money spent on development projects through social audits. The US Institute for Peace’s Andrew Wilder critiques Washington DC’s role in quick fix development projects. Reporter Tom A. Peter warns that Kabul has a major sanitation problem on its hands. Journalist Shafiq Hakimi introduces us to a man trying to create a community garden in Kabul. Anand Gopal continues his conversation with journalist Matthieu Aikens questioning common narratives about what’s going wrong in Afghanistan—and what reporters can learn by getting out of Kabul. Zach Warren shares his experiences cataloging Afghan jokes and wondering if humor may have potential as a tool for diplomacy. Three people who lost family members in the September 11 terrorist attacks on the U.S. talk about turning their grief into action for peace. They also tell the moving stories about learning the fate of their family members. A Shortcut Back to 9/11 features material that gathers up actualities from that morning and mixes in the first music that producer Peter Bochan was able to play – days after the event. Voices from Pakistan of families destroyed by drone strikes. Hear from Medea Benjamin and other activists working to build a global movement against this controversial military technology. It’s being sold as a cleaner way to wage war. 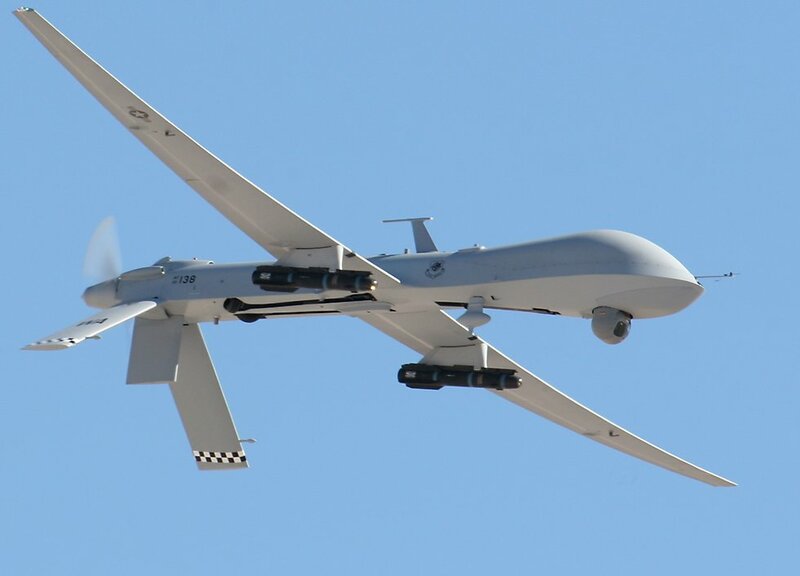 But unmanned military drones are wreaking havoc in Pakistan, Afghanistan and elsewhere. On this edition, we bring you voices from Pakistan of families destroyed by drone strikes. And we hear from Medea Benjamin and other activists who are working to build a global movement against this controversial military technology. Racial profiling has happened in times of war before -- how will it end this time around? Featuring Veena Dubal, Asian Law Caucus National Security and Civil Rights Program Staff Attorney, and family members of those in jail. 10 years since 9/11…and 10 years of America’s homeland war on Muslims and Arabs. American Muslims are under the microscope, from capital hill, to your local shopping mall. Almost every week, theres news about the bust of another terrorist cell. The effect on those communities-living in fear of demonization, or arrest-- has been devastating. Racial profiling has happened in times of war before—how will it end this time around? 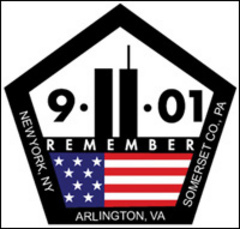 Two half-hour programs commemorating September 11th. Shakespeare after 9/11: A look at how the events of September 11th changed the way we read Shakespeare's plays about politics and leadership. Seeing 9/11: Three representations of the events of September 11th. The sights and sounds of September 11th and its aftermath are indelibly etched in our minds. How do we represent this event? What narratives get told? How do we commemorate those who died? And what role does art play in helping us come to terms with grief and trauma? On this program Josh Charlson talks about Art Spiegelman’s In the Shadow of No Towers, Nora Alter discusses the film United 93, and David Simpson shares his thoughts about the New York Times’s Portraits of Grief. This piece has a companion, What's the Word? Shakespeare after 9/11. Ten years later - Muslim American women continue to be the target of discrimination, because of misunderstandings about the hijab, their headcoverings. Rohina Malik and other women and men in this piece work to create understanding year-round, not just on the 9/11 anniversary. Seeking understanding between Muslims and those from other faiths is not just something done each year on the anniversary of the 9/11 terrorist attack on America. For many Muslim Americans it is a part of their daily lives. This half hour documentary looks at the challenges Muslim women face on a daily basis because of misunderstandings surrounding the wearing of the head covering known as the hijab. It profiles a Muslim American playwright, Rohina Malik, who performs her original one-woman show, "Unveiled" in theaters around the nation and in churches and synagogues and hosts candid discussions in hopes of dispelling the myths and stereotypes of Islam as a violent faith. The piece also examines attitudes of Islam from the perspective of a reformed Jew, a Kuwaiti Muslim woman, Americans, The Council on American Islamic Relations, and a new study on American attitudes ten years after 9/11. It also examines the struggle that Muslim women have in deciding whether to wear the hijab and how to deal with what they say is continuous discrimination. The Empire State Building, the George Washington Bridge, the World Trade Center—for over a hundred years Mohawk ironworkers have traveled to New York City to help shape the city's skyline. As part of the Sonic Memorial Project, producer Jamie York visited the two Mohawk reserves to gather sound and stories about the legacy of Mohawk ironworkers. Shekaiba Wakili's aunt was en route to New York, September 11, 2001, when her plane turned around and flew back to Peshawar, Pakistan. Shekaiba straddles her Afghan and American worlds in this vocal and musical piece composed by Scott Johnson. Shekaiba Wakili was 10 years old when the Soviet Union invaded Afghanistan. She and her father escaped Kabul and came to Queens in 1980. Years later, she made contact with her mother who she never really knew growing up, since her parents were divorced when she was a baby, and the father pretty much got everything including two of their three daughters. Shekaiba eventually brought her mother out of Afghanistan to Queens, where they developed a relationship as adults, mother and daughter. After 9/11 Shekaiba struggled with her identity as an American, as an Afghan, as a fairly secular person, and as a Muslim. In this composition by Scott Johnson, Shekaiba dreams of returning to her homeland. The words are in English and Dari. Scott Johnson is known for is compositions that use voice as an element in the musical development. It seems likely that the 9/11 site and memorial will be among the most-if not THE most-visited sites in the US, with millions expected to pay their respects. In a world in which radio reporters, TV correspondents and now digital adventures can take us virtually anywhere, SARA FISHKO examines the impact of traveling beyond your desktop to stand on the spot where something happened, and see for yourself. A personal essay (accented with music) about looking for the perfect place to leave a flower in remembrance at Ground Zero 3mo later. On September 11, 2001, Kenzi was eleven years old, Chelsea was twelve, and Iliana was fourteen. This project aims to give voice to those who witnessed the events of 9/11 from the perspective of early adolescence. Scream Symphony #1 is a symphonic audio collage using authentic screams from CVR recordings, taped phone calls from 9/11 recordings from the aftermath of the Haiti earthquake and others. In other words, screams as media that were never meant to be media, the most unwilling participants in art you’ll ever find. Warning: Some have found the content of this piece to be disturbing. Proceed at your own risk. Jake Warga spent Christmas day 2001 at Ground Zero. This is his personal essay with music by Brian Eno. "This is Beautiful Radio." -John Dankosky of WNPR. I spent Christmas day 2001 at Ground Zero. Personal essay (will re-track if interested). Music Brian Eno. Text avbl. on request. "...The new motto of the city is: I LOVE NY?More Than Ever. I kept walking, searching for a place to lay my lily--not so it would be noticed, just not lost..." "...I walked to the water front in a daze. The Statue of Liberty lay the distance. Standing proud, looking outwards, still holding the torch of freedom. Yet it felt like she was looking over her shoulder towards the city, keeping a sad eye on it. It was sunny, but cold and the wind bit at me..."
Ten years after the attacks on the U.S., September 11th is still a day of mourning. But what if that date is also the day you were born? Ten years after the attacks on the U.S., September 11th is still a day of mourning. But what if that date is also the day you were born? Emily Friedman speaks with local residents about what it's like to celebrate your special day on our country's most solemn anniversary. A sound-rich piece with orignial music by Hudson Branch. We have more from Bono, the frontman of U2. And it comes to us from an interview recorded back in 2001, just a few months after 9-11. Bono was speaking with Anthony Bozza. Anthony was at Rolling Stone back then and the magazine was looking back at this horrific year in America. At this point in the tape we get hear Bono talk about his music and playing for a fragile nation just weeks after that tragic September morning, and how U2’s music took on a whole new meaning for both the fans and the band. A 2 year-old child's view of September 11, 2001. Lawyer Kenneth Feinberg believes people's lives should be valued equally, not based on their wealth. Mohammad Al Bedaiwi uses the web to make himself available to non-Muslims and chat with them, face-to-face, about Islam. There's a man in Austin, Texas, who has taken on a large mission: to answer any questions people may have about Islam. Mohammad Al Bedaiwi created something called "Chat with a Muslim" shortly after September 11th, 2001, when he realized that most people from his city knew little and were even afraid of his faith. To this day, hundreds have chatted with him -- including Ruxandra Guidi, who met him at a local mosque. Before 2001, there was another 9/11. In 1973, a military coup backed by the United States, overthrew the Chilean government and ushered in seventeen years of brutal dictatorship. In the first of a two part series; we hear stories of the Chilean 9/11.That day marked the end of one of Latin America’s longest democratic traditions, and brought on almost two decades of murder, disappearances, repression, and fear. Before 2001, there was another 9/11. In 1973, a military coup backed by the United States, overthrew the Chilean government and ushered in seventeen years of brutal dictatorship. In the second of a two part series; we hear stories of the Chilean 9/11.That day marked the end of one of Latin America's longest democratic traditions, and brought on almost two decades of murder, disappearances, repression, and fear.